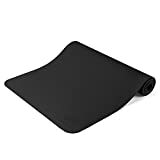 ★ ALL THE STORAGE SPACE YOU NEED | CARRY YOUR YOGA MAT 2 WAYS – Adjustable bottom straps and top loading drawstring feature holds your yoga mat safely. Includes 4 zipper pockets to store keys, cash, ID, cards and phone. Extra 2 side pockets to hold water bottles and spray bottles. Main pocket can hold clothes, mat towels, shoes, yoga blocks and more. Secret laptop sleeve inside main bag’s compartment. Reinforced drawstring to safely secure anything from falling out. ★ 2 BONUS SHOE BAGS INCLUDED – Comes bundled with 2 extra mesh bags to carry your shoes, wet and dry clothes to keep your items separated. Mesh bags can be used to hook outside backpack via carabiner to air dry your clothes after practice. Yoga Mat not included. 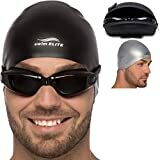 ★ WATERPROOF, LIGHTWEIGHT, DURABLE AND MULTIPURPOSE- Weighs less than 2lbs and made from strong 900D polyester filmed waterproof material that is perfect for gym, work, school, travel and hiking outdoors. Easy to clean. 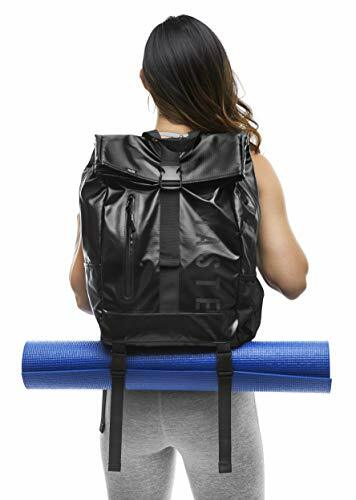 ★ MEASURES AT 11W” x 3L” x 17H” | 25L CAPACITY | CAN CARRY UP TO 30 LBS – Hold all your school and work belongings during the day and carry all your yoga gear for yoga practice in the evening. Save time by carrying your entire day with you. ★ 1 YEAR WARRANTY | 100% SATISFACTION GUARANTEE – We stand by our products. Each yoga backpack comes with a 1 year warranty. Please contact us for any issues. If you are not satisfied with your purchase, we offer a money back guarantee. Buy with confidence!